The fundamental prerequisite for creating a successful restaurant business is delivering a standard service to all your customers. You must have fixed the desired restaurant service standard of your restaurant in your head. However, unless you transmit your thoughts clearly to your restaurant staff, how will they know what you are expecting from them? Hence, you must explicitly specify your restaurant service standards, regarding the plating, cleaning and customer service to your employees, so that they strive hard to meet the requirements. The best way to build a loyal customer base is to maintain the set restaurant service standards. Customers love it when they know what they will receive when they walk into a restaurant. You must have set restaurants service standards which include, the consistency in food quality, quantity and taste, and the expected customer service. 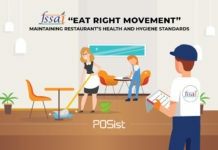 Now you may wonder, how should you fix the restaurant service standard and deliver it to all the employees to ensure that all your restaurant staff is on the same page? Read below, and you will understand how you can convey your restaurant service standards to your team in the best way possible. Seating them at the desired table or the bar or waiting area if there is a wait time. Presenting the guests with a menu and wait for a few minutes before going over for the order. Assisting the customer in placing an order by explaining the dishes (if asked), and repeating the order to ensure no mistakes in order taking. Ensuring that the order is served to the customer as soon as it is prepared and minimizing the time delay between placing the order and serving it. Delivering the food at the table, and serving it to the customers, if needed as per your restaurant’s service standards. Checking to see if the food is alright, or if the customers wish to order more at intervals. Clearing off the table only once the customers are done with their meal or drink. Asking for feedback about the service. Ensuring hospitality even after the customer has paid the bill and is about to leave. Use this Customer Service Checklist to ensure that you maintain optimum restaurant service standards and deliver a great guest experience to your customers. Once you have a comprehensive document, of what needs to be done, it becomes rather simple for all your restaurant staff. What they need to do is follow whatever is documented diligently. Make a list of how each item on your menu needs to be plated, if required ask your executive chef to prepare the dishes and show how the plating needs to be done. You can even take a picture of the prepared dishes and put it up on the plating area, which will ensure that the staffs never forget or confuse with the plating. Similarly, when it comes to cleaning, create a checklist of staff both in the front and in the back end needs to do. All the staff needs to do, is check off the tasks each day after performing them. Training can make or break your restaurant. A band of well trained and efficient restaurant staff can play a significant role in paving the success of your restaurant. 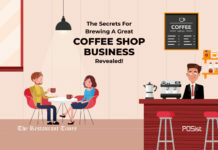 Unless you train your new staff and refresh the memory of your existing staff at regular intervals, then you can hardly expect to run your restaurant by adhering to all the standards specified by you. When it comes to the new employees on board, you can organize training sessions and provide them with a manual which they can look back at in times of crises. In addition to this, you must also refresh the memory of all your existing staff, at regular intervals. 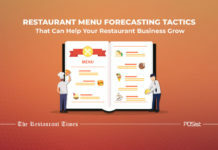 For this, you can organize training sessions every once a month, and it is imperative to review and update the restaurant manual on a quarterly basis, this will help you to keep the restaurant staff updated on the restaurant service standards. Both documenting the tasks and training at regular intervals will be useless unless you follow up with your staff and check if your restaurant staff religiously follows all the functions. Staff tends to skip work and take opportunities of the loopholes in the system. Checking to see that your management team and line employees are doing things the way you want them done for every aspect of the business is critical to your restaurant success. Unless you can hold your restaurant staff accountable for the activities that are performed in your restaurant, who will you hold if the tasks are not performed as per the set standards. In your absence, it is your restaurant manager who must take care of all the activities, and it is him whom you should hold accountable if anything in your absence happens at your restaurant. Once you hold your managers accountable for their actions, they too will be on their toes to assure that all your restaurant staff adheres to the expected restaurant service standards in the restaurant. Maintaining restaurant service standards is fundamentally essential, this will help you to retain your customers. Unless you have a talented band who relentlessly works to live up to your restaurant service standards, you will not be able to experience the desired result out of your restaurant business. Great restaurant service standard will keep the customers coming back for more. great article and thanks for showing us that the restaurant industry is more than just good food. 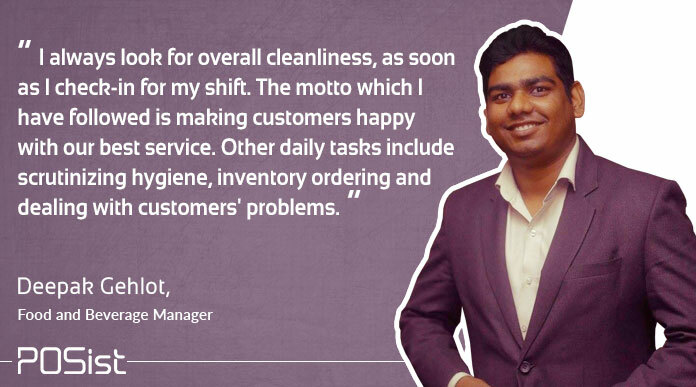 A restaurant’s managers and its employees all share the responsibility for ensuring the customers are treated well and left with an overall positive impression of their dining experience. A very well written article very comprehensive. Good Read. Completely agree with all the points mentioned. Having a set restaurant service standards helps the employees deliver the expected service. Operations manual, regular trainings are a must.